Let's get this out quickly. I love(d) Disney Channel... I probably still do, if I had it... :P It is so nostalgic and all the shows were frankly AWESOME... Remember some of these..? Lizzie McGuire was also really quite funny... Hilary Duff was quite atypical, but still the show was good. 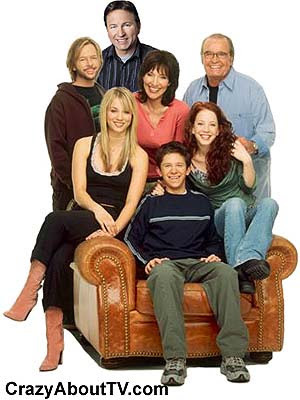 8 Simple Rules is a great show, and glad I can still watch this on FIVE USA and its a hilarious sitcom (its sitcom, right?)... Carey is by far my favourite character, she has her unique personality, just really interesting... one of my favourites. The one I miss the most is perhaps That's So raven, starring Raven Symone. It was a new and original show where Raven can see the future and try to prevent it from happening, leading to immensely funny situations... wish I could watch it now. Now its full of High school musical, camp rock and hannah montana... maybe I'd like it if i watched it but, meh... cba! Are you secretly a Disney Channel fan?? If so, say so!